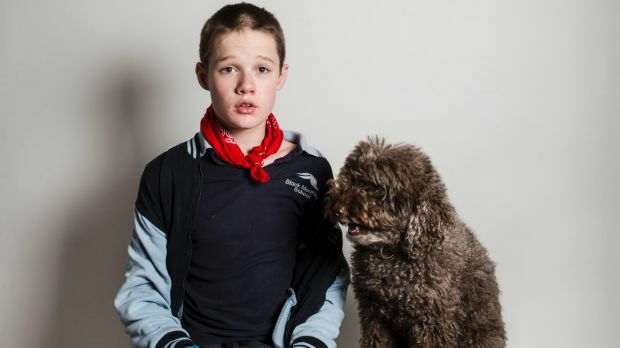 It is understood the ACT Office of Disability has already spoken to several families about relinquishing their children, in light of news the ACT's last two providers of overnight care for young people, Marymead and the Disability Trust, could both be reducing their services by the end of the year. In August, Marymead announced it could no longer afford to run respite for people with high needs under the scheme's current funding, closing its doors to 70 per cent of the 120 families who rely on the overnight service and shrinking down its operating hours from seven nights a week to fFamilies who spoke to the The Canberra Times said they had been left in limbo ever since, unable to find other providers to take on their children once the changes kick in on October 26. Last week, the Disability Trust's ACT office confirmed it was also reviewing its respite service for young people and could not guarantee it would continue after Christmas. Acting chief executive Edward Birt said the trust had already been forced to pull back on overnight respite in the Southern Highlands due to funding concerns, but was doing everything it could to make the service viable in Canberra. 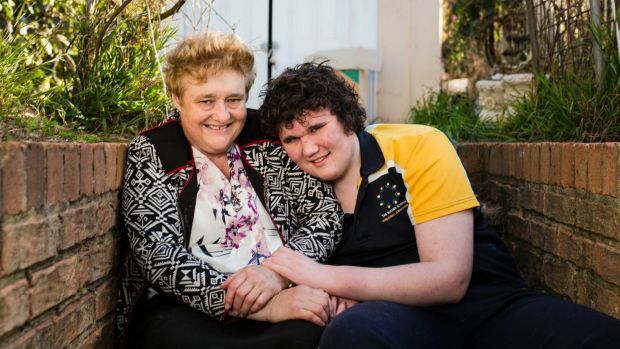 Fiona May, chief executive of the ACT Disability, Aged and Carer Advocacy Service, said the impact of recent service reductions on families was "extreme" and her group had been flooded with calls for help. "If we don't get the break, we're going to give up, it's not something we want to do but we're going to burn out," she said. "We were already at breaking point." A spokeswoman for the Community Services Directorate confirmed the ACT government was working with the the National Disability Insurance Agency to find "local solutions" for families affected by the service changes. "The ACT government believes that no child should be relinquished because of inadequate supports and services," she said. ACT state manager at National Disability Services Stephen Fox said of further concern was a new murkiness around which agency had responsibility for children surrendered by their families since the roll out of the NDIS. "It's all a bit of a mad scramble," he said. "The path to support for people in crisis isn't clear and you've got people using the housing hotline instead." The directorate spokeswoman said while "the responsibility of disability market stewardship now lies with the NDIA", the ACT government continued to advocate for Canberrans with a disability and worked with the agency to support them during times of transition. A spokesman for the national agency said the scheme aimed to help families continue caring. "Where the needs of the person are greater than a family can provide, responsibility for the voluntary out-of-home care needs of that child remain the responsibility of the state or territory," the spokesman said. On Friday, Marymead acting chief executive Tracey Hall said Marymead was continuing talks with the agency and had handed over evidence of its clients' high needs. "We have ongoing concerns for a number of families who have clearly identified the need for 'time out' in [respite] in order to keep their families together," Ms Hall said. Carers ACT chief executive Lisa Kelly said making the decision to end care was a "tortuous space for carers". "We fail as a community when carers are forced into that," she said. Ms Kelly said recent respite reductions were not a case of providers "walking away" from services but reflected the NDIS' broken funding model. Since its roll out, two Canberra providers have stopped respite care completely. Under the scheme, the agency pays a fixed rate of $501.71 per client to providers for each night in respite (also known as short term accommodation.) Ms Hall said Marymead had been running at a "significant financial loss" under this price for some time and had spent almost two years advocating for a more flexible rate, which better reflected clients with high needs, as well as penalty rates for staff working weekends. "The ACT government shares the concerns of the disability sector regarding the pricing levels for short term accommodation," the directorate spokeswoman said. The national agency is conducting an independent review of its pricing, which will consider concerns raised by Marymead. Ms May welcomed the review, due to report back at the end of the year, but said in the meantime Canberra families remained in "great stress". Ms Kelly agreed that without an urgent response existing services "will disappear". "And then if we get the response [from the review] in 12 months that we want, we'll have to re-establish them all," she said. According to advocates, the funding rate seems to reflect a broader view within the NDIA that overnight care is no longer the best way to support clients, in light of more integrated supports. "Unfortunately, they're not following that up with alternatives," Ms May said. "They have said to us it would be great if providers in the ACT found innovative options to meet the needs of these families but they haven't given us any." ACT senator Zed Seselja said transitions from one scheme to another were always difficult, but he would continue to raise concerns from local participants to his Liberal colleagues. Mr Fox said no one expected the scheme's roll-out to be perfect. "Still, the road is a lot bumpier and riskier than it needs to be," he said. While Carers ACT supported the vision of the scheme, which centres services around their benefit to the person with the disability, Ms Kelly said carers needed more consideration. "We know that carers have some of the worst health outcomes of any population group, they'll talk about how they never [get] unbroken sleep, and they're doing that for years and years," she said. For the McCarthy family, no alternatives have yet been found, leaving one dreaded prospect hanging overhead. "There was times when I couldn't talk about relinquishing care of Logan without crying," Ms McCarthy said. "But I've spoken to so many people [since we heard about Marymead], I've cried all my tears out now." An NDIS pricing forum will be held in Canberra on Tuesday and Senator Seselja encouraged local families to attend.